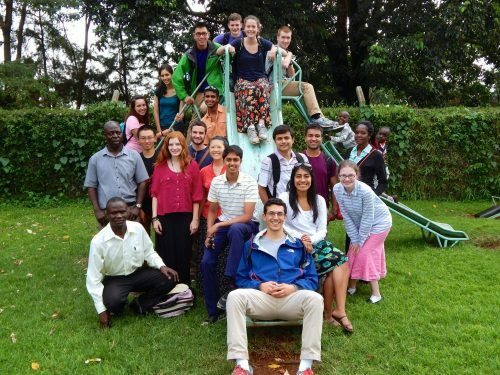 Participating in DukeEngage-Kakamega, Kenya, solidified Dalbert Chen’s goal of becoming a physician. 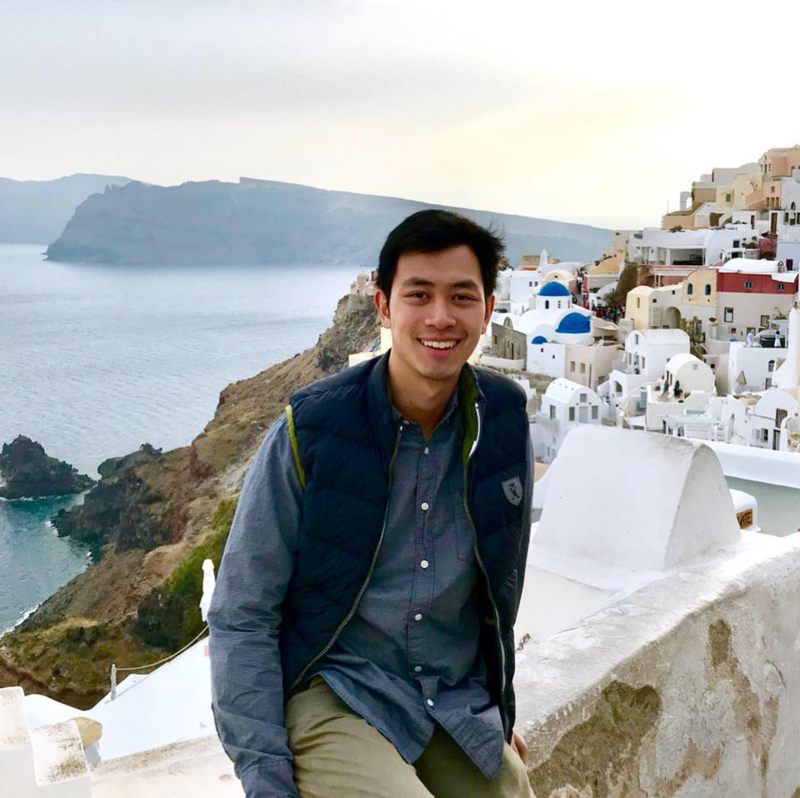 Now he’s a first-year medical student at McGovern Medical School in Houston, Texas, who hopes to one day return to Kenya to serve on medical mission trips. Read about Dalbert’s project, the friendships he formed, and what kept him inspired during his time in Kakamega. Tell us about your DukeEngage experience. DukeEngage was one of my favorite experiences throughout my Duke career, and if I could have done it more than once, I would! I’ve always known that I wanted to become a physician, and it was my experience in Kakamega, Kenya that truly solidified that goal. I worked at Iguhu County Hospital, a small hospital located on the outskirts of Kakamega, Kenya that served the greater community of Iguhu. At first, it was tough – adjusting to a new culture and living in a new country wasn’t as easy as expected. But I realized that communication was key. I started talking to the staff at the hospital and trying my best to get to know them by asking them questions about their lives and in turn sharing them stories about mine. I soon became friends with the doctors and nurses who worked there, and we collectively created a hand-washing project for the outpatients. The hospital didn’t have any running water, so we designed a sink system that would utilize collected rainwater as the water source. 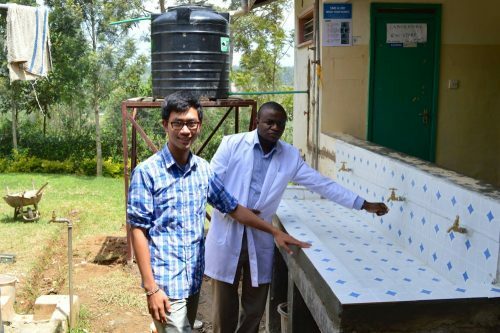 Dalbert and a doctor from Iguhu County Hospital demonstrate the hand-washing station they co-designed. What’s your biggest takeaway from DukeEngage? DukeEngage helped me form lifelong friendships. Whether it’s bonding over our experience of adjusting to life in a different country or discussing the fun times we had going on Masai Mara safari, our cohort of eight Duke students still keep in touch to this day. The program I participated in also paired us with a host family, and I still talk to them via Facebook and WhatsApp. It’s awesome how DukeEngage provided me with lifelong relationships with those I worked with and met. “Doing good” is easy, right? Civic engagement is definitely not the easiest thing in the world. There were times when I felt frustrated by my project and those around me. There were times when I wanted to give up. Times when I counted the days before I’d fly back to America. But then I’d think about the bigger picture, and the joy I found in joining with those around me who also had a passion for service. I learned a lot about humility those nine weeks in Kenya, and I learned that service takes sacrifice. To this day, I still reflect often upon my DukeEngage experience and how it’s shaped me into who I am today.